It’s great to see actual passion coming from those that are working on their projects. If they love it, then at least that passion will show through with a finished product, though we may not all agree to it’s significance. With video games it is no different, and thankfully the Mass Effect 4 development team seems to be quite thrilled to be creating such a masterpiece. Making art, all types of art, can be a labor of love, and video games certainly fit within the definition of art. Some do at least. For lead designer Jos Hendricks, it’s something he’s immensely passionate about. He’s been tweeting about his experience with some of the work that they’re doing at BioWare for the next Mass Effect, and he certainly gets quite excited about the progress they’re making and, more importantly, the story they’re weaving together. Apparently Jos had tweeted that he thoroughly enjoys working as part of a team to create something so magnificent to be shared. One of the joys of level design for me, personally, is working together with others to make something you share a vision of. He goes on to explain that shaping and molding something from bare materials with an idea of the artists direction is a great feeling. Building the initial version of a level with simple blocks but with an idea of what it would look like when an artist makes it awesome. Jos himself is a level designer (and a fantastic one at that), and thus doesn’t necessarily create the art to go on his creations, but Jos loves to work with his artists to create that final perfect vision, and the debates that ensue can only help, not hinder, the final product. And then working with my artist on the first art pass that starts the proper direction for what it'll look like when it's done. I just saw the first pass of one of the spaces in one of my levels that my artist built, and it just makes me so excited to build it. The rest of his tweets are all very philosophical, looking at the progression of ideas from mere unorganized thoughts to written unorganized thoughts and finally evolving to become the complete idea that we can all enjoy. But nonetheless, this at least highlights his process for turning Mass Effect 4 into a true masterpiece. It’s great, however, to see this kind of enthusiasm about their jobs. The happier the developers are then the likelihood for higher creativity which can only translate positively to us gamers. And there'll be more moments like this. When my writer writes a more in-depth pass that truly realizes the feel of the mission/narrative. When the cinematic designer and cinematic animator have their scenes built and working in the mission, and the conversations flow. And then audio comes in and does their final passes and it'll sound and feel like a real space. And then time has passed and the game ships, and people get to see it on their TV at home, and hopefully enjoy the experience. And we get to think back of how this mission we built was once just a little outline in a word document. All in all I’d say that Mass Effect 4 is shaping up to be the rich, diverse and very complex game that we all remember. What might be even better is if Drew Karpyshyn was being contracted to be the lead writer for the narrative. There is still no release date and even scarcer details surrounding Mass Effect 4 aside from the various leaks from either the developers or other sources. 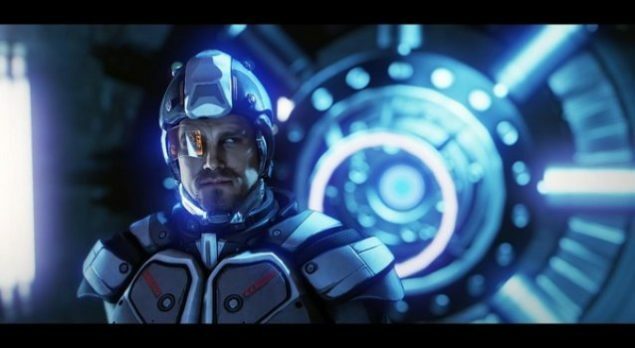 But rest assured that Mass Effect 4 is going to be quite the game.